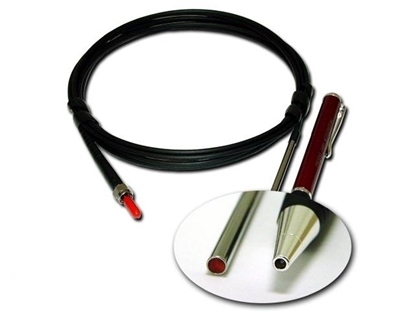 This dipping probe oxygen mini sensor, consists of a polymer optical fiber (POF) with a polished distal tip which is coated with a planar oxygen-sensitive foil. The end of the polymer optical fiber is covered with a high-grade steel tube, to protect both the sensor material and the POF. The cable has an outer diameter of 2.8 mm. The inner diameter of the POF is 2.0 mm. The steel tube has an outer diameter of 4 mm. Usually, the fiber is coated with an optical isolated sensor material in order to exclude ambient light from the fiber tip and to increase chemical resistance especially against oily samples as well as to reduce bio-fouling on the sensor membrane. This type of oxygen sensor has an excellent long-term stability. 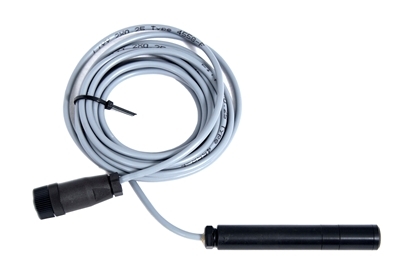 This flow-through oxygen mini sensor requires a fiber cable with bare tip for use with Witrox 1 and Witrox 4 instruments. 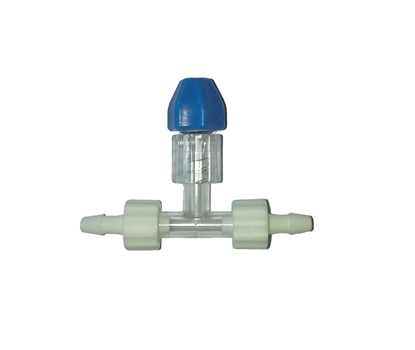 The re-usable (non-disposable) oxygen sensor has excellent long-term stability. Clean it with ethanol or even ETO, recalibrate, and use it again and again. 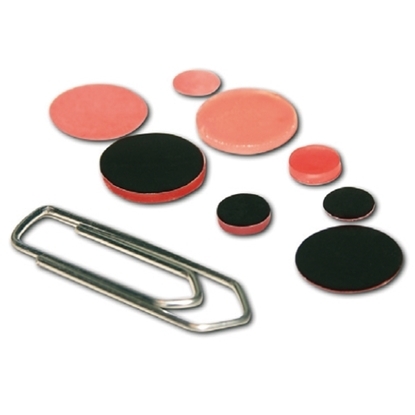 Sensor spots are thin planar oxygen mini sensors immobilized onto either polyester or glass supports. The latter is autoclavable. The sensor spots are glued inside chambers, flasks or disposables with translucent and non-fluorescent walls (e.g. glass, polyester, acrylic etc.). Then oxygen measurements can be done in a non-invasive and non-destructive way from outside and through the wall of your vessel. With silicone glue (OX11100) you can glue the sensor spots inside your own chambers, flasks, disposables, or we can do it for you. To use the sensor spots a fiber optic instrument and an external fiber cable (light guide) is required. The tip of the fiber cable delivers (blue) light to the backside of the sensor spot though the wall (and transparent glue). The front side of the sensor spot is in contact with the media (liquid or gas), e.g. the light is not passing through the media. 1) A bare tip fiber cable (OX11150) is fixed with a special chamber (holder), or run through a Radiometer/Cameron dummy electrode adapter (CH10470) for fiber optic oxygen sensing in Radiometer/Cameron electrode chambers, cuvettes etc. 2) A fiber cable with a threaded SMA connector at the tip (OX11160) is screwed onto a fitting sitting on a velcro band adapter for curved chamber walls (OX11170) or planar walls (OX11180). This small but rugged and very stable galvanic cell oxygen probe is designed for fish respirometry and other laboratory applications. It can even be used for atmospheric measurements, e.g. for air breathing animal respirometry.